“Drywall Repair Westlake Village” is not a new name in the business. We possess numerous years of experience in the industry, ensure you receive your money’s worth if you choose us for your next home remodeling project, and have reliable products and offer top quality services. Our reputable company guarantees you the best in drywall, ceiling, and tile services. Employing only the best in the industry, the premier technicians are trained and experienced in handling all issues related to drywalls, ceilings, and tiles. They install a wide variety of tiles including porcelain, glass, and stone. The diligent team is trusted in the industry and our admirable company has an extensive list of satisfied customers who can attest to the exemplaryservice personnel. Rely on trained professionals who deliver quality craftsmanship and exceptional customer service. With us you gain peace of mind, which only comes from knowing that the task is done right and based on your expectations. Our tile professionalsinstall all kinds of tiles and work with basic as well as custom made ones. 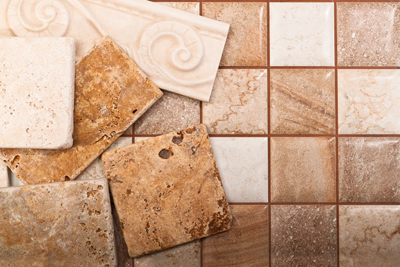 They install them in any part of your home and understand that new tiles are a great home investment. Thus, assuredly the project is completed to your satisfaction. Dedicated staff is ready to serve you anytime, all at a reasonable rate. No one else can install tile floors in your home as easily as we can. For a safe and secure home while completing the tile installation project, our tile professionals see to it that harmful risks like dust contamination is minimized. This world class company works professionally and safely. You and your family will be safe while we work to improve your home. No matter what kind of tiles need to be installed, Drywall Repair Westlake Village does it all for you. Call us for a quote and consultation. We are always waiting to answer all your questions and schedule appointments at your convenience. Contact us right now and let professionals help you with installation and repair projects. Visit our website and learn more about what we do.